​The American Academy of Pediatrics is updating screening recommendations for preterm infants at risk of developing Retinopathy of Prematurity, a disorder that occurs only in very small premature babies when the blood vessels in the retina are not fully developed and is a leading cause of childhood blindness. The AAP statement, "Screening Examination of Premature Infants for Retinopathy of Prematurity," published in the December 2018 Pediatrics revises a previous statement published in 2013. The policy statement provides direction for screening low birth weight, premature infants at correct times and intervals to detect any problems with the development of the retina, which can lead to visual loss or blindness. The diagnosis of Retinopathy of Prematurity must be made in a timely fashion for effective treatment to be applied before the disorder becomes destructive. 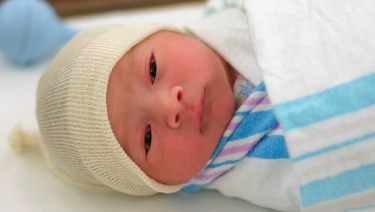 The policy statement provides recommendations for screening those who are at risk, consistent with the finding that the more preterm an infant is at birth, the greater the area of undeveloped retina and, thus, the greater the risk. The joint policy statement was written by the AAP, the American Academy of Ophthalmology, the American Association for Pediatric Ophthalmology and Strabismus, and the American Association of Certified Orthoptists.